Pushed by a huge rise in exports of iron and steel and several non-ferrous metals, India’s engineering exports have emerged as a major contributor to the external outward trade, accounting for over one-fourth of the country’s entire merchandise exports which were also helped by buoyancy in shipments to select destinations, including the US and China, an EEPC India analysis has shown. According to the latest data, India’s engineering exports continued to witness significant growth for the eighth consecutive month in May 2017, though 7.5 per cent year on year expansion during the month was slower than that of April 2017 when shipments had grown by a huge 25 per cent Y-on-Y. “Still, buoyed by iron, steel and other metals, the engineering exports of USD six billion in May 2017 accounted for 25.2 per cent of the country’s entire export basket, against 23.8 in April, 2017 when the monthly shipments were USD 5.92 billion,” the analysis noted. India’s total merchandise exports aggregated to USD 24.01 billion in May, registering an annual growth of 8.32 per cent. 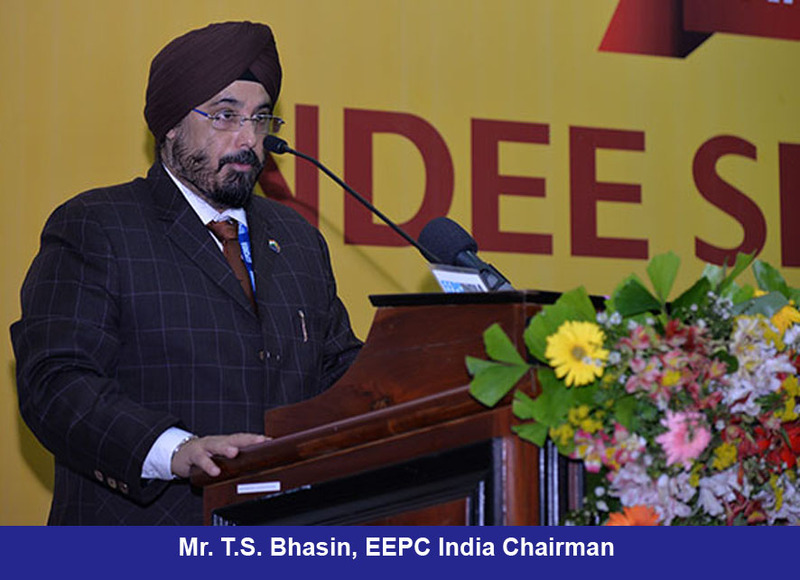 Commenting on the development, EEPC India Chairman, Mr. T.S. Bhasin, said: “There is a demand pick up for basic material in the US and China, besides some other key economies, reflecting a revival in the global economic activities, giving a push to the exports of mother industries”. Out of 33 engineering segments, 25 recorded growth in May 2017 over the same month last year. Iron and steel exports jumped by more than 58 per cent during May with overseas shipment of USD 797.5 million, against USD 504.5 million in the same month last year. Cumulative figure showed 99.5 percent growth of exports during April – May 2017 to USD 1.7 billion from USD 853.8 million during the same period last fiscal for this vital segment. Products of iron and steel increased in export by 14.6 per cent during the month under review while its cumulative exports increased by 17 per cent to USD 1.03 billion during April – May 2017 against USD 885.3 million during the same period in 2016-17. Significantly, the total engineering exports to the US went up by a huge 82 per cent to USD 902 million during May 2017 from USD 495 million in the same month last fiscal. Likewise, the engineering shipments, largely helped by the iron, steel and metal pack, to China too shot up by 96.6 per cent to USD 189 million from USD 96.2 million. “While the basic raw materials have helped revival of our engineering exports, we need to work hard and get a foothold in the export of technology-driven value-added items. Some key initiatives have been taken in this regard with the help of the Commerce Ministry. These include setting up an EEPC Technology Centre in Bengaluru,” Mr. Bhasin added.